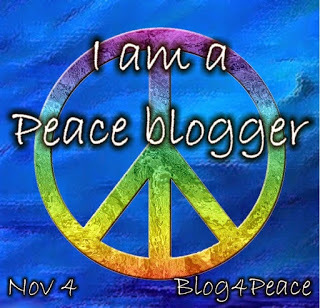 What’s the meaning or inspiration of your blog’s title? It was available and easy for me to remember. What do you consider your biggest strength? I am loyal. What do you consider your biggest weakness? 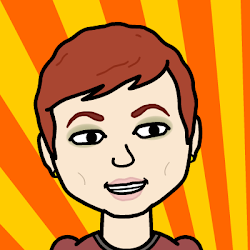 I am almost criminally undisciplined. Tell us why we should like your favorite band. I shall let the lads speak for themselves. Who is your favorite model of all-time? Why? 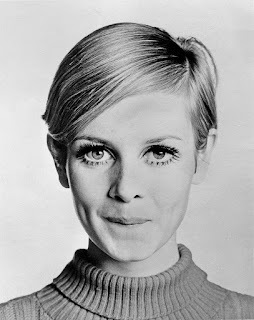 Twiggy, because I grew up on her. Does it bother you when people talk about their pets? Why? Why would it bother me? Tell us about your favorite holiday. My birthday. November 22, if you're taking notes. What was the last fabulous meal that you ate? Where were you? Back in July, I had a fabulous chicken dinner at a restaurant called Roister. Seared chicken, fried chicken, chicken salad. We also had sushi, pasta and clams. It was awesome. What’s your lucky number and why? 7. I have no reason why. What are five things you hate? Religious intolerance, bullies, people who take up two seats on the train or bus, cigarette smoke, the sound of my alarm clock. What are five things you love? The Cubs, The Beatles, critters, movies, books. Tell us a secret you can because other than us, who’ll read this anyway? No, but thank you for asking. What is the favorite body feature of yourself? My green eyes. What do you love about yourself? I'm a thoughtful and creative friend. What do you hate about yourself? I can carry a grudge like nobody's business. Who is someone you miss? My cat, Joey. He was a prince, and it was a privilege to have him in my life. 75º and sunny. A gentle wind blowing in. Two of the best pitchers in baseball, mano a mano. Me and my friend John. What's not to love? Well, the outcome. But it was close and we were in it to the end. 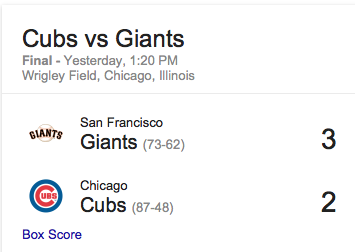 Also, our record this year is so good that this loss won't matter a damn when the playoff matchups are determined. The day started promisingly enough. 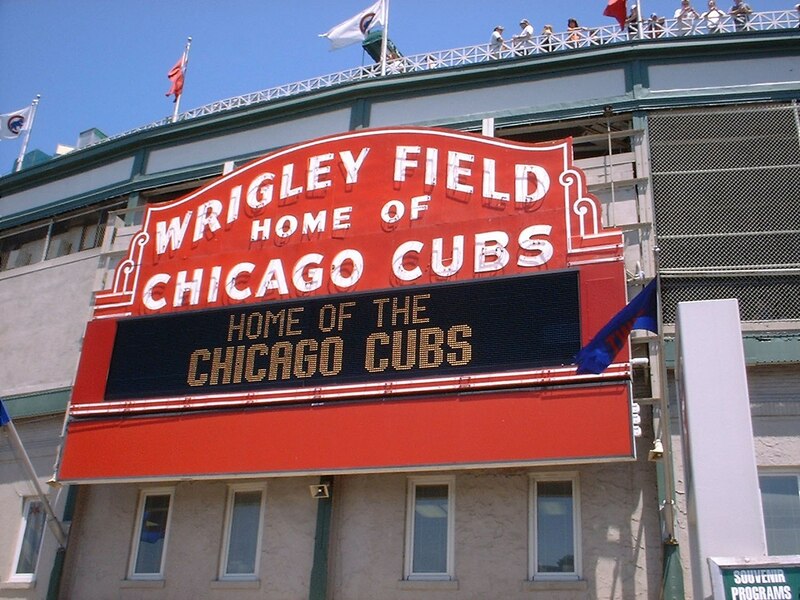 I headed for the park wearing a Cubs "Mission October" shirt and carrying my Cubbie blue drawstring bag. The happy Saturday morning commuters smiled at me and wished me luck. "You're gonna see Big Jake!" 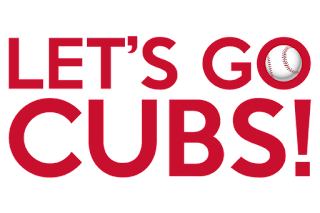 one of them said, referring to our ace, Jake Arrieta. After another asked if I was going to the game, and I nodded, he said, "Look at her smile!" Two homeless men -- whom, I suspect, live on the train much of the weekend -- engaged me in a conversation about whether or not this is "the year." 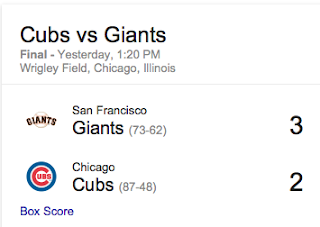 I am delighted by how the city is behind this Cub team. I met John under the marquee at the Chicago Theater. 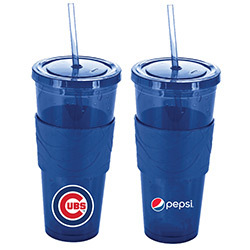 We got to the park early enough to score our official Pepsi Cubs cups. 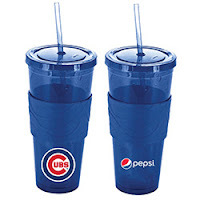 Since he couldn't care less, I got his, too, so I'll have one for home and one for work. Yea! 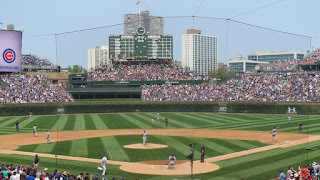 We had terrific seats, upper terrace, along first base. 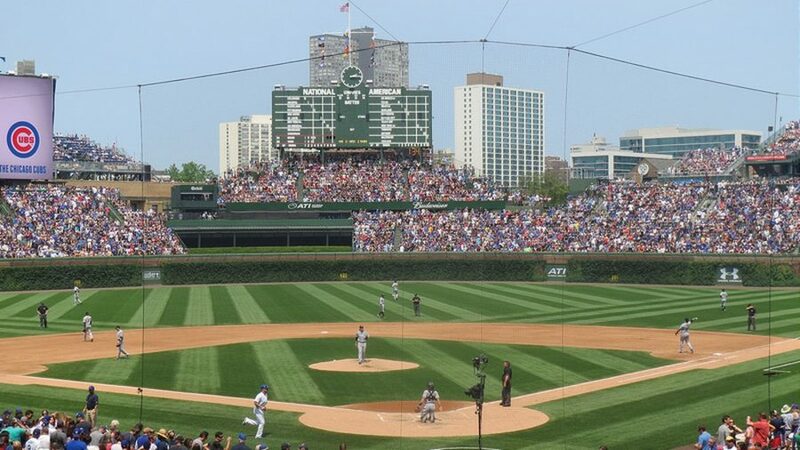 It is, of course, a beautiful park and it was fun to watch it fill up with the Wrigley Field faithful. We got to watch the Giants take BP and see Jake warm up. We also got to catch up. 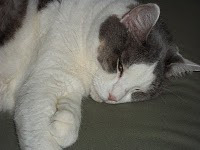 He's feeling more positive about his health and prospects since his major health scare last May. neighborhood is engulfed. 40,000 fans arrive at the park at their own pace, but we all leave at the same time and the trains and buses and packed. 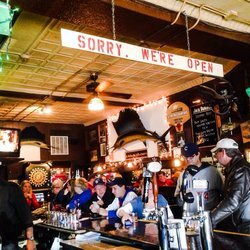 So John and I wandered up the street to Joe's on Broadway, a neighborhood bar that is favored by real Cub fans and locals -- not the tourists who were in town for Labor Day weekend. We talked baseball and movies and music and life for a couple hours and then headed on to our respective homes. Tired but happy. 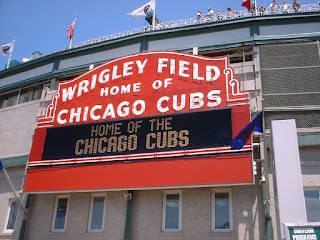 I will leave you some views of the place I'd rather be more than anywhere else -- The Friendly Confines of Wrigley Field.